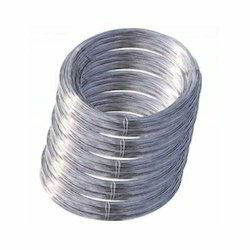 We are a leading Exporter of stainless steel round bars 304l, stainless steel round bars, stainless steel wire, stainless steel 304 l round bars, stainless steel 316 ti round bars and stainless steel 304 round bars from Mumbai, India. 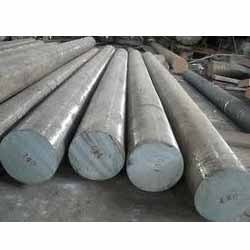 We Hitesh Steel is well known in the market as a leading supplier , stockist and exporter of Stainless Steel Round Bars 304L . 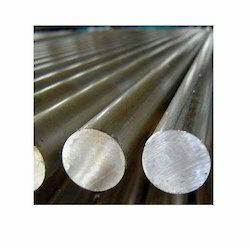 These Stainless Steel Round Bars 304L is mainly use in Big Industries . Stainless Steel Round Bars 304L is having a three qualities export bright , polished bright and black . This range of bars is well appreciated by the clients due to high tensile strength, dimensional accuracy and durability. With the properties of corrosion resistance and chemical persistence these bars are available in varied specifications which suit to diverse needs of various industries. 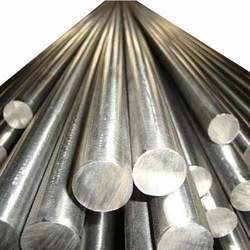 We Hitesh Steel is a leading supplier , stockist and exporter of Stainless Steel Round Bars 317 . 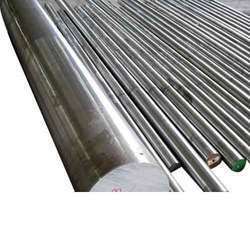 These Stainless Steel Round Bars 317 is mainly use in Big Industries. Stainless Steel Round Bars 317 is having a three qualities export bright , polished bright and black . This range of bars is well appreciated by the clients due to high tensile strength, dimensional accuracy and durability. With the properties of corrosion resistance and chemical persistence these bars are available in varied specifications which suit to diverse needs of various industries.These bars are known for their long lives, excellent quality, optimum performance, economical rates, dimensional accuracy, durability, corrosion resistance and excellent finish. 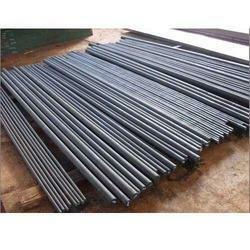 We are considered as one of the reliable exporter of round bars which is well appreciated for their dimensional accuracy, durability, corrosion resistance and excellent finish. after proper quality checking and stringent testing these bars are delivered to the end users at industry leading price. We have established ourselves as highly reliable manufacturers and suppliers of Stainless Steel 316 TI Round Bars. These bars are very popular in the market and are known for their long lives, optimum performance, dimensional accuracy, durability, corrosion resistance and excellent finish. They are tested on different quality parameters and are used in diverse industries. We are known for charging industry leading rates. 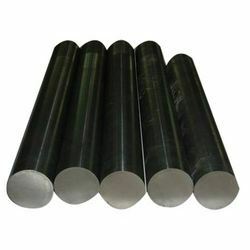 Our offered range of steel round bars consists of superior quality stainless steel 304 sourced from authorized vendors. This range of bars is well appreciated by the clients due to high tensile strength, dimensional accuracy and durability. With the properties of corrosion resistance and chemical persistence these bars are available in varied specifications which suit to diverse needs of various industries. The range of steel round bars which we provide is made as per the industrial standards which meet all the diverse needs of various industries. 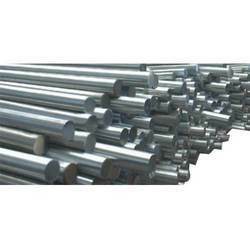 Fabricated with top quality stainless steel these bars are highly demanded due to their dimensional accuracy, corrosion resistance and excellent finish. Before the delivery to the clients all the products are checked & tested in order to provide flawless range of products. We are counted a trustworthy supplier of stainless steel round bars which are widely distributed to various numbers of clients. Fabricated with high graded stainless steel these bars are available in numerous lengths, dimensions and radius. Used in diverse industries, these are delivered to clients by us after proper quality check. 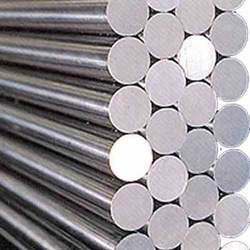 We are involved in manufacturing & supplying stainless steel 310H round bars which are highly demanded due to their dimensional accuracy, durability, corrosion resistance and excellent finish. Made in accordance with defined industrial standards these bars are delivered to the clients after undertaking various testing measures. 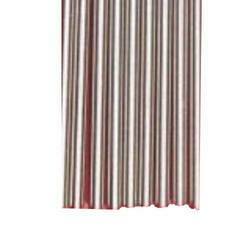 With the facility of customization these bars are available at cost competitive price. We are offering a gamut of Stainless Steel 316 Round Bars. 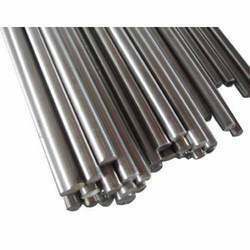 These bars are known for their long lives, excellent quality, optimum performance, economical rates, dimensional accuracy, durability, corrosion resistance and excellent finish. They are used in diverse industries and are regularly tested on different quality standards from time to time. We customize and package them as per leading industrial standards. 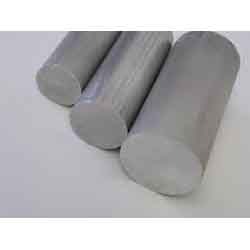 We have earned the appreciation of customers’ and are providing reliable suppliers and manufacturers of Stainless Steel 316 LN Round Bars. 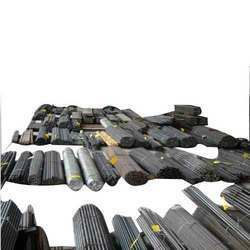 These bars are known for advantages like dimensional accuracy, durability, corrosion resistance, optimum performance, simple maintenance, economical rates and excellent finish. They are tested on various quality standards during various stages of production. Further, we charge industry leading rates. We have emerged as highly reliable manufacturers and suppliers of Stainless Steel 316 LN Round Bars. These bars are developed with the help of the best available technology and are highly appreciated for their dimensional accuracy, durability, corrosion resistance and excellent finish. They are tested on different sorts of quality parameters and are used in diverse industries. We always charge industry leading rates and adhere to varied customers’ demands. We are highly renowned and reliable manufacturers and suppliers of Stainless Steel 317 L Round Bars. These bars are developed with the help of excellent technology and are known for their dimensional accuracy, durability, fine quality, optimum performance, corrosion resistance and excellent finish. They are known for their long lives and are used in diverse industries. Further, they are consistently checked on various quality standards. We offer completely industry leading rates. 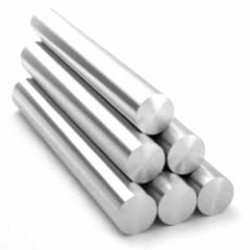 We are engaged in manufacturing and supplying a comprehensive range of Stainless Steel 321 Round Bars which are manufactured using high quality of raw material that is sourced from our trusted vendors. We Supply these Stainless Steel 321 Round Bars in various parts of the world. These Stainless Steel 321 Round Bars are renowned for excellent quality, dimensional accuracy, high durability, excellent finish, high tensile strength and reliability. Stainless Steel 347 Round Bars that we offer are widely used in several engineering products manufacturing industries. We do complete quality and performance measure inspection of these Stainless Steel 347 Round Bars before delivering at the client’s end. These are widely appreciated for high quality and dimensional accuracy. These Stainless Steel 347 Round Bars are available in various dimensions and shapes and we offer these in various range. 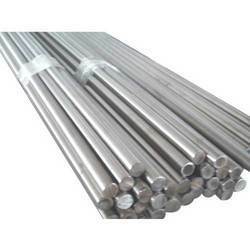 We are the leading manufacturer, supplier and exporter of Stainless Steel 347 H Round Bars that is manufactured using high quality of pure metal and alloy as a raw material. These Stainless Steel 347 H Round Bars are available in various specifications. We supply these Stainless Steel 347 H Round Bars in various industries at competitive prices. 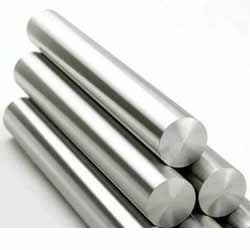 We are engaged in offering wide range of Stainless Steel 904 L Round Bars that is widely demanded in several industries. These Stainless Steel 904 L Round Bars are manufactured using high grade of raw material that is sourced from our reliable vendors. These are having excellent corrosion resistance and are easy to operate. These are available in various sizes and dimensions as per the industrial specifications and quality standards. 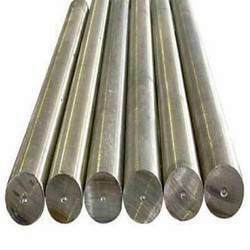 We are considered as one of the renowned supplier of steel round bars which is well appreciated for their durability, dimensional accuracy, corrosion resistance and excellent finish. These bars are strictly tested and verified by the quality controllers to ensure the uncompromising quality, performance and strength. 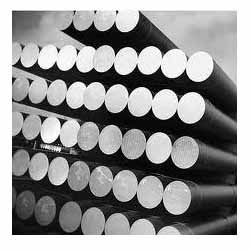 We Hitesh Steel is well known in the market as a leading supplier, stockist and exporter of Alloy 20 Round Bars. 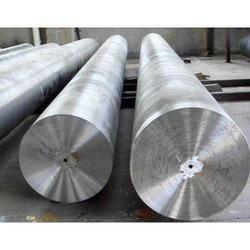 We Hitesh Steel is a leading supplier , stockist and exporter of Stainless Steel Round Bars 316L . 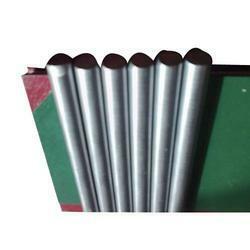 These Stainless Steel Round Bars 316L is mainly use in Big Industries . Stainless Steel Round Bars 316L is having a three qualities export bright , polished bright and black . This range of bars is well appreciated by the clients due to high tensile strength, dimensional accuracy and durability. 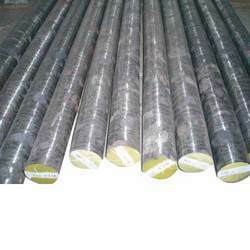 With the properties of corrosion resistance and chemical persistence these bars are available in varied specifications which suit to diverse needs of various industries.These bars are known for their long lives, excellent quality, optimum performance, economical rates, dimensional accuracy, durability, corrosion resistance and excellent finish. We Hitesh Steel is a leading supplier , stockist and exporter of Stainless Steel Round Bars 316TI. 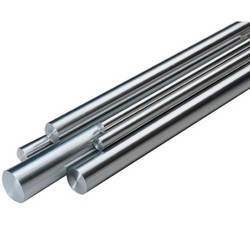 These Stainless Steel Round Bars 316TI is mainly use in Big Industries . Stainless Steel Round Bars 316TI is having a three qualities export bright , polished bright and black . This range of bars is well appreciated by the clients due to high tensile strength, dimensional accuracy and durability. With the properties of corrosion resistance and chemical persistence these bars are available in varied specifications which suit to diverse needs of various industries.These bars are known for their long lives, excellent quality, optimum performance, economical rates, dimensional accuracy, durability, corrosion resistance and excellent finish. We Hitesh Steel is a leading supplier , stockist and exporter of Stainless Steel Round Bars 904L . 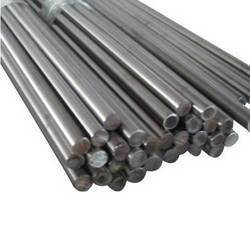 These Stainless Steel Round Bars 904L is mainly use in Big Industries . Stainless Steel Round Bars 904L is having a three qualities export bright , polished bright and black . This range of bars is well appreciated by the clients due to high tensile strength, dimensional accuracy and durability. With the properties of corrosion resistance and chemical persistence these bars are available in varied specifications which suit to diverse needs of various industries.These bars are known for their long lives, excellent quality, optimum performance, economical rates, dimensional accuracy, durability, corrosion resistance and excellent finish. Hitesh Steel is specialized in the manufacture of Stainless Steel 316L Angle and casting stainless. We Piyush Steel also supply valve ball, stem and pipe fittings from our other affiliated factories. Stainless Steel 316L Angle is a kind of with no center hole but with all the proper bolt holes. It is used to blank off the ends of piping, valves and pressure vessel opening. From the standpoint of internal pressure and particularly in the larger sizes, are the most highly stressed of all flange types; however, since the maximum stresses in a blind flange are bending stresses at the center, they can safely be permitted to be higher than in other types of 316L Angle. 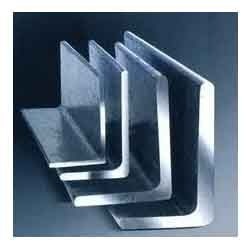 These Stainless Steel 316L Angle are manufactured by Hitesh Steel using quality material such as steel and are offered in numerous specifications as per the requirements of our clients. Our range Stainless Steel 316L Angle finds applications in various industries and is known for high performance, reliability and durability at competitive market price. Looking for Stainless Steel Round Bars ?